It appears facebook is testing an important Facebook to whatsapp integration in it's mobile app. I was surprised when I saw the Whatsapp icon just close to my facebook profile after I updated my facebook app. Some massive features are coming on whatsapp, including YouTube videos playing right into WhatsApp, UPI-based money transactions, Message recall feature Live-location sharing, Number change intimation to all your contacts, and Edit 'sent' messages. Wondering why Mark spent a huge fortune to purchase Whatsapp? The instant messaging service app has about 900 million active users. So in order to keep its users and effectively monetise the system, new features are being introduced. These features are being tested on the devices of few users on beta mode. Well, here are some of the new features that maybe introduced into whatsapp in a short while. YouTube is the biggest video platform globally, so whatsapp is introducing YouTube integration to its iOS versions. In order words, you can start watching YouTube videos in-app without quitting whatsapp. Though, this feature will only be available in India for now it one of the features that will allow users transfer money seamlessly. I can't wait to have this feature on my Android device, this feature was first tried in late last year in a beta version on iOS. This feature allows users withdraw whatsapp messages. This is another feature that I really fancy and look forward to see, it was introduced earlier this year on WhatsApp for iOS beta version but has not been rolled out to the masses yet. The feature could let users share live location for 1 minute, 2 minutes, 5 minutes or indefinitely. Now, with this feature whatsapp will send a notification message to all your contacts when you change your number. Though similar to the message recall function, but this goes a step further to allow users edit messages they've sent already. This simply means, if u sent an incorrect message you can edit it instead of recalling the entire text. Well the most interesting point here is the facebook to whatsapp integration. 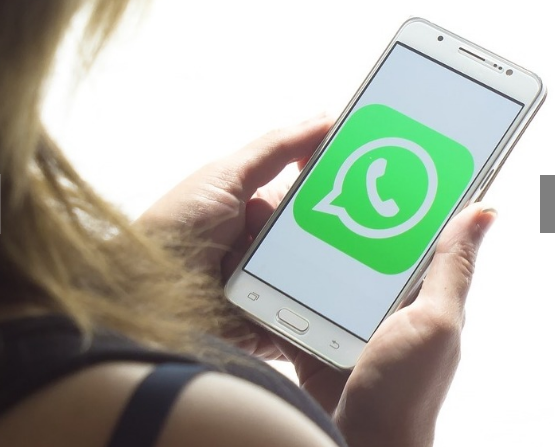 A report on whatsapp indicates the button will function as a shortcut and a click on it will open user's WhatsApp without leaving the Facebook app.